The main activity of My Magic Removals focuses on the transportation of furniture and luggage from offices and homes. Owing to our professional removal services London, we are a preferred partner for transportation of personal possessions and office equipment by providing high quality and reasonable prices to our clients. We have an experienced removal team and vehicles that are different in terms of volume and tonnage in order to be able to conduct all kinds of office and home removals. When using our services, you will get a full range of reasonably-priced removal, loading and unloading, transportation services, removal, assembly, flat packing of your items and packing at any time. We undertake to provide you with excellent service and calmness so that you will not have to worry about it at all. Every kind of removal runs smoothly and easily and is performed professionally and promptly. Our purpose is to preserve your productivity by taking care of every detail during the transportation of your property. Whether you are moving to nearest Town or somewhere in Europe we will work hard to satisfy your needs. By trusting our team of professionals, you will get services that meet your requirements because we know that there is no better advertisement than the work which has been done professionally and the loyal attitude towards our clients. Our movers are well trained, polite, motivated and friendly. Some of the most important assets of a company are its experience and effective management. It doesn’t matter whether you are moving around the corner or to the other end of the city, we will offer you a man and van service which will perform professionally and quickly, saving you time, nerves and money as well as being stress free. 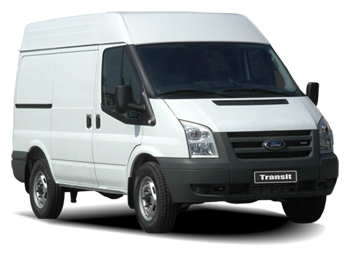 Our man and van team will come on time and be fully equipped with a trolley, blankets and straps for secure transport. They will help with packing, loading and placing your goods carefully in the van and transport them to your new place. My Magic Removals London service offer 3 different van sizes. 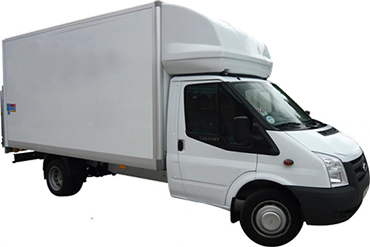 My Magic Removals London service offer a wide choice of van sizes from Small up to Luton Van, so you can choose the right size of the van for your needs. Our vans are constantly monitored by the latest tracking system. , we also offer secure storage solutions. Our facilities have cutting edge CCTV systems and a manned security team, which is why we’re recognised as one of the leading removal companies in London. We guarantee that the work will be performed in a way that will provide you with the best possible quality and within the stipulated term so at the end you will feel completely satisfied and content with the choice you have made. Contact with us is quick and easy! Call us at 07492284949 or get a free quote. are the best in moving of your home or office.